he Abady pet food brand understands that pet owners have a nearly unlimited array of options to choose from and they make it their mission to make that choice just a little bit easier. This brand has more than 40 years of experience in the pet food industry so they have perfected their formulas to meet the specific nutritional needs of dogs of different sizes and in different life stages. Not only do their products meet the nutritional requirements of pets, but they yield excellent results that many pet food brands find hard to match. 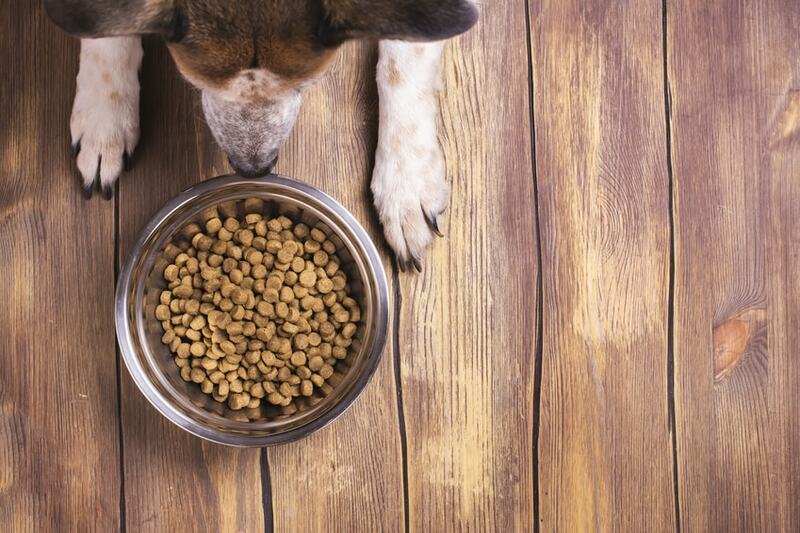 Though many pet food manufacturers use novel and exotic proteins, Abady follows a “back to basics” approach in formulating most of their recipes around common proteins like chicken meal and beef. Their recipes are made with fresh, high-quality ingredients that are sourced locally in the United States and they are full of natural flavor. Technically called The Robert Abady Dog and Cat Food Company, the Abady brand of pet food was founded more than 40 years ago. This brand is headquartered in Poughkeepsie, New York which makes them a US-based company. Though this brand does offer traditional kibble and canned foods, they are primarily known for their fresh frozen recipes. In fact, the brand claims to be the first US-based pet food manufacturer to release a line of fresh frozen complete raw diets for dogs. This brand of dog food is made by The Robert Abady Dog and Cat Food Company and is headquartered in Poughkeepsie, New York so they are a US-based company. The company website states that many of their ingredients are hand-picked and locally sourced, so you can assume that most of their ingredients come from the United States. Unfortunately, the brand does not provide much detail about exactly where their ingredients to come from so it is difficult to judge their quality. You must rely, instead, on a comprehensive overview of the ingredients list and product specs. Most of this brand’s products are made with chicken or beef as the man proteins with wholesome grains like pearled barley and brown rice for carbohydrate support. Many of their recipes appear to be made with a limited number of main ingredients though they do make heavy use of synthetic supplements to ensure complete and balanced nutrition. In June 2013, the FDA issued a recall for several frozen dog food products due to a positive test for salmonella. The recall affected two recipes – the Frozen High Stress/High Performance Dog Food formula and the Frozen Growth Formula for Puppies of the Large and Giant Breeds. This brand is definitely not one of the most common pet food brands out there. In fact, you may find it difficult to find their products at all. You might be able to find this brand at specialty pet food stores or from certain online retailers, though they don’t seem to be consistently available. You are also unlikely to find many Abady coupons either in print or online. This brand of pet food seems to be sold primarily at local pet stores in New England, but you may be able to find it from various online retailers. At this time we are unable to find this product for sale online or in stores so we can’t provide information about pricing. The Abady brand is proud to offer a wide variety of different dog food and treats including granular recipes, kibble, canned foods, canned mixers, fresh frozen food, and dog treats. This brand doesn’t offer as many product choices as some brands, but they do have a decent variety of recipes to choose from. In addition to traditional kibble, this company offers granular dry dog food as well as a selection of canned foods and canned mixers that are intended for supplemental feeding. This brand is also one of the relatively few pet food manufacturers who offer fresh frozen foods. The fresh frozen recipes this brand has to offer are similar in nutritional quality and formulation to their traditional products. When it comes to Abady dog food reviews, there are many who are strong proponents but there are many detractors as well. This brand often catches heat for using mainly chicken and beef as their primary proteins because both of these ingredients come with a high risk for triggering food allergies. There are also complaints about some of the supplementary ingredients this brand uses – they also use by-products in some of their recipes. Because this is such a polarizing brand, it becomes even more important for you to make your own analysis before you purchase any of their products. Abady New Frontier Real Chicken Meal-Based Kibbled Dog Food Formula – This New Frontier Real Chicken Meal-Based Kibbled Dog Food Formula is formulated to meet the nutritional needs of puppies and adult dogs who weigh less than 60 pounds at 1 year of age. It features protein-rich chicken meal as the primary ingredient and the main source of protein with rice and pearled barley for carbohydrate support. This formula is described as a “natural, scientifically advanced, balanced” canine ration and it is produced using the brand’s unique manufacturing process. The first ingredient in this recipe is, of course, chicken meal. Even though it has the word “meal” after it, there is no reason to assume that this is a low-quality ingredient. In fact, it may be a better ingredient than fresh chicken simply in terms of protein content. Fresh chicken usually contains about 70% moisture so, when the dog food is cooked and much of that moisture is lost, the final volume that chicken has to offer could be significantly lower than it was originally. Chicken meal, however, has already been cooked to a moisture level around 10% which means that it contains as much as 300% more protein by volume than fresh chicken. Because chicken meal is the main source of protein in this recipe, it is probably better for the total protein content that it is chicken meal not fresh chicken. After the chicken meal come the recipe’s primary carbohydrates – rice and pearled barley. It is unclear what kind of rice is used here, but it is generally safe to assume that rice is a highly digestible source of carbohydrate energy for dogs. Pearled barley is a whole grain that offers good nutritional value, though it does contain gluten which could be a problem for some dogs. These two recipes combine to provide your dog with usable energy as well as dietary fiber. It is good to see, however, that the total fiber content is only 1%. The main source of fat in this formula is safflower oil which, though it may not be a dangerous ingredient, offers limited biological value because it is a plant-based fat, not an animal-based fat. It is good to see, then, that chicken fat is also included – this is a highly nutritious ingredient and an excellent source of concentrated energy for your dog. The remaining ingredients consist primarily of synthetic supplements to ensure nutritional balance. This New Frontier Real Chicken Meal-Based Kibbled Dog Food Formula is formulated to meet the nutritional levels established by the AAFCO Nutrient Profiles for adult dogs and puppies that weigh less than 60 pounds at 1 year of age. Overall, this New Frontier Real Chicken Meal-Based Kibbled Dog Food Formula is not the worst dog food on the shelf but it isn’t the best either. This recipe does start off strong with chicken meal as a source of concentrated protein and neither the rice nor the barley are particularly bad ingredients. It is hard to judge the quality or type of rice used, however, and the barley does contain gluten. This recipe would benefit from some chelated minerals and probiotics, but it does appear to offer complete and balanced nutrition. Abady Complete Beef & Pearled Barley Maintenance & Stress Formula – This Complete Beef & Pearled Barley Maintenance & Stress Formula is described as a high-quality, full-feeding formula made with an “impeccable” protein source – beef. This recipe is properly balanced with a blend of essential fatty acids and vital nutrients, plus it is kettle-cooked to preserve more of its natural flavor and texture. This product is intended for use as a complete and balanced diet, though it can also be used to supplement a diet of dry kibble. This recipe starts off strong with beef muscle meat as the first ingredient. Beef is a protein-rich ingredient and it is full of nutrients and natural flavor. On the downside is the fact that beef is one of the most common food allergens for dogs. If your dog isn’t allergic or sensitive to beef, however, it might not be a problem. You should consider, however, that beef contains more saturated fat and cholesterol than many other proteins used in dog food (like chicken). For carbohydrate energy, this recipe relies on pearled barley. This ingredient is a whole grain and generally considered highly digestible for most dogs, though it does contain gluten so there is a potential for food allergies. When it comes to fats, this recipe includes canola oil as well as beef fat, pork fat, and sunflower oil. It is good to see that both animal-based and plant-based fats are included, though none of the four is a particularly high-quality source of fat for dogs. This recipe also includes bone flour (also known as bone meal) for nutritional supplementation as well as an assortment of synthetic vitamins and minerals. These supplements help to ensure nutritional balance but it would be better to see some fresh fruits and vegetables as natural sources for those same nutrients or, at least, to see some chelated minerals. This Complete Beef & Pearled Barley Maintenance & Stress Formula is formulated to meet the nutritional levels established by the AAFCO Nutrient Profiles for adult dogs over 1 year of age. Overall, this Complete Beef & Pearled Barley Maintenance & Stress Formula an okay product though there is definitely room for improvement. The fact that this recipe includes beef and grains means that there is a high risk for triggering food allergies, though some dogs simply aren’t sensitive to these ingredients. This formula does appear to offer good digestibility and it is complete and balanced in terms of nutrition. There are several areas, however, where it could be improved such as the quality of the fats (chicken fat or salmon oil would be better) and with the incorporation of chelated minerals and probiotics for digestive support.